Launching a Mini version of the flagship smartphone is becoming a regular feature these days and every smartphone manufacturer is up for it. So when everybody was launching a Mini flagship, how could LG be left behind. 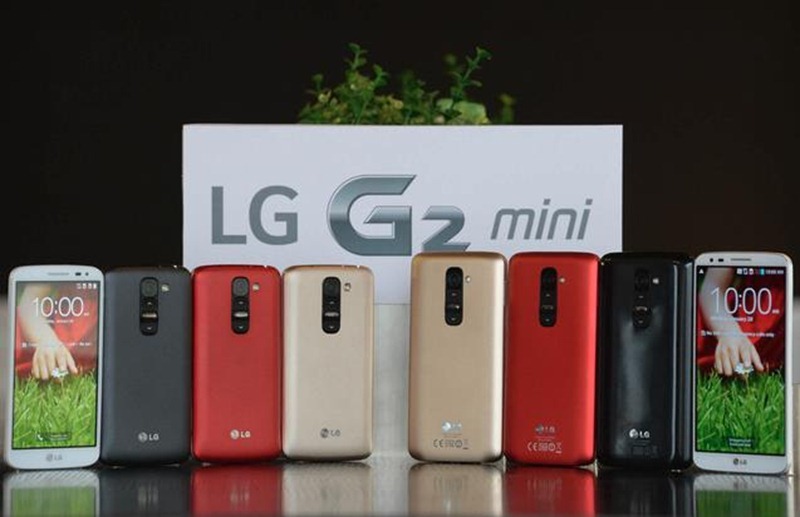 It has just launched the LG G2 Mini globally and the same will be up against the likes of the S4 Mini, One Mini and the Xperia Z1 Compact which recently went on sale in India. Let us have a quick review of the device. The LG G2 Mini comes with an 8MP rear camera with LED flash which gets its control keys at the rear. It will feature 1080p video recording The same team up with a 1.3MP front camera for aiding your video calling and self portrait needs and will support 720p video recording. We would have liked to see a better camera unit as 8MP snappers are getting pretty common these days and it is expected to come at a price point where you can get better cameras. The internal storage capacity of the LG G2 Mini will be 8GB which will be available for expansion via a microSD card by another 64GB. 16GB of internal storage would have made it a better deal but this one is good as well. The LG G2 Mini gets a choice of two processors depending upon the region. One of them is a quad core 1.2 GHz Snapdragon 400 SoC which can be found in the Moto G as well while the other one is a 1.7GHz Nvidia Quad Core Tegra 4i but this one will be available in Latin America only for the time being. It gets a 1GB RAM to team up with the processor which is expected to perform decently well for the smartphone. Giving the smartphone the juice to run will be a 2,440 mAh battery whose talk time and stand by details have not yet been revealed by the company. However, the same won’t really last more than a day in real world usage conditions. It gets a 4.7 inch IPS display unit with a resolution of 960 x 540 pixels which has a pixel density of 234 ppi. The same is pretty bad even if its a mid-range device. We expected at least a 720p screen resolution if it was going to be a miniature flagship but LG has disappointed in this regard. It runs on Android 4.4 KitKat which is one of the few good bits about the smartphone. You get all the software functionalities of the LG G2 which include Guest Mode, Knock ON, Quick Memo, Clip Tray, Quick Window and the likes. The smartphone has a good build quality and indeed does look like a compact version of the flagship smartphone. It comes in Titan Black, Lunar White, Red and Gold colours. You get a pretty comprehensive connectivity package in the form of Wi-Fi 802.11 b/g/n, Wi-Fi Direct, DLNA, Wi-Fi hotspot, Bluetooth 4.0 and GPS with A-GPS support and GLONASS. There will be 3G as well as 4G LTE variants but those would be region specific. We are expected to get the dual SIM/single SIM 3G variant of the smartphone. Its key competitors will be HTC One Mini, Galaxy S4 Mini, Sony Xperia Z1 Compact and Moto G. Out of these, the Xperia Z1 Compact has top of the line specs and Moto G has value for money written all over it. There has been no word on the pricing of the smartphone and the same will decide its fate. It could do wonders for LG with a sub Rs 20,000 price tag but we highly doubt that. A better screen resolution, internal storage and camera would have been welcome as well. Now it is up to LG to price it right.